I wandered over to start up a conversation. / I wandered over to start a conversation. We started up deliveries in the southern part of the city about a month ago. / We started deliveries in the southern part of the city about a month ago. There’s a dude in a mask with a chainsaw coming! Start up your car and let’s get aych-e-double-toothpicks outta here! / There’s a dude in a mask with a chainsaw coming! Start your car, and let’s get aych-e-double-toothpicks outta here! In each case, dropping the “up” makes the sentence shorter. 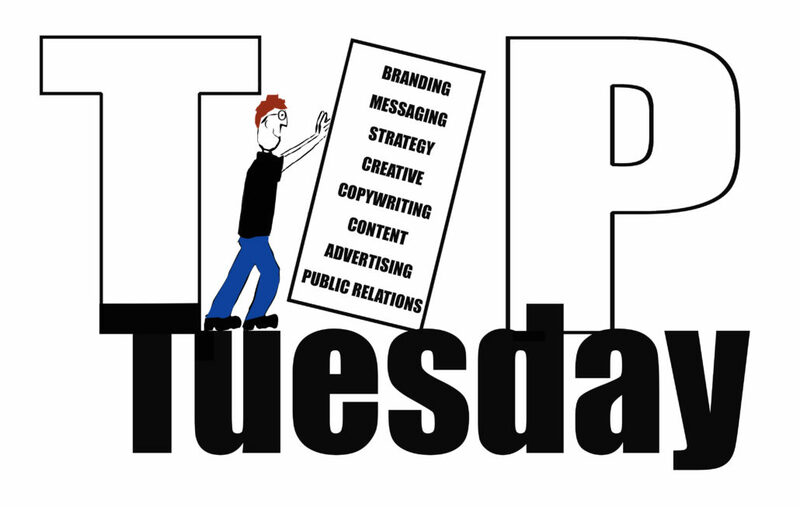 (We’ll tackle the overuse of exclamation points in another Tuesday Tip, mmmmmmm-k?) The only time “start” and “up” should show up as a pair is when they form a compound adjective – “It’s a start-up venture.” And, let’s face it, the only place it has to go is up. There’s no downside to dropping “up” from your advertising, marketing and public relations copywriting. I’d lose that if I were you. Why, How and Other Questions About Writing a Press Release Assure, Ensure & Insure – What’s on Second in Your Marketing?